Laws also provided light boxes for each window with LED lights. The windows are located behind the pulpit area. 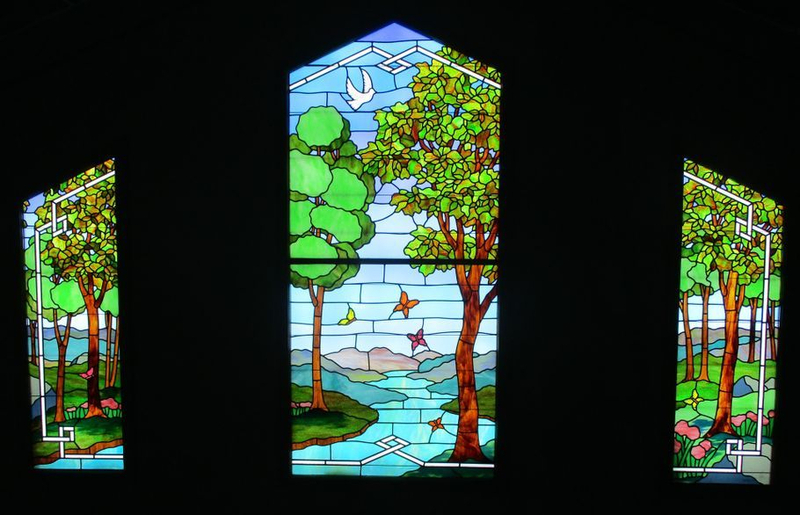 These are leaded glass windows with a mixture of cathedral and opalescent glass set into light boxes. Close-up of the right window at the top.